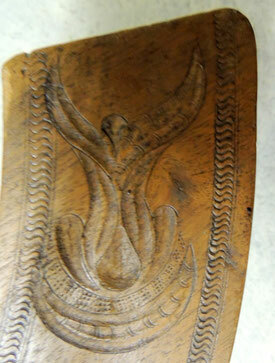 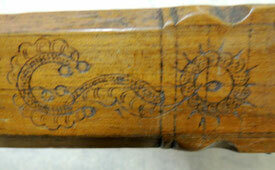 Early big fruit wooden Divider, Baroque, 17 or early 18th Century, 92 cm. 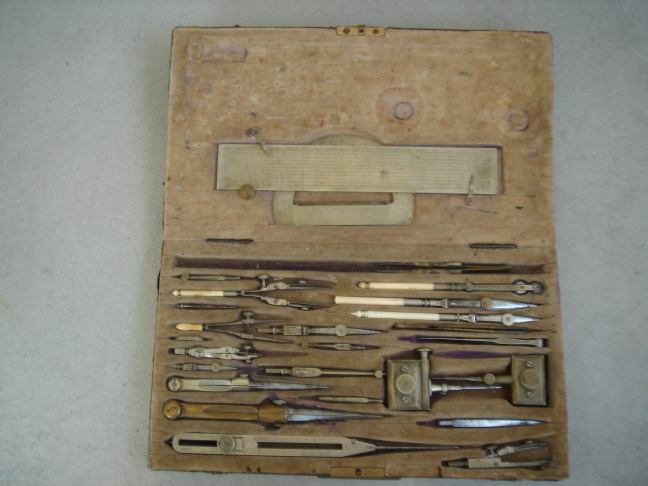 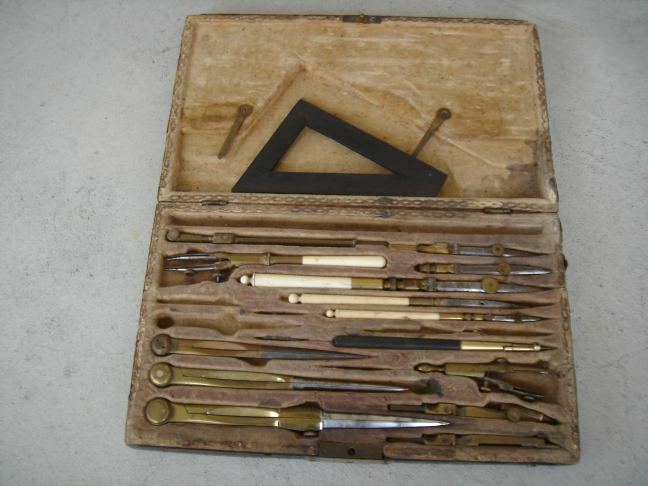 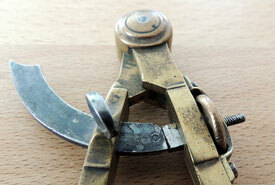 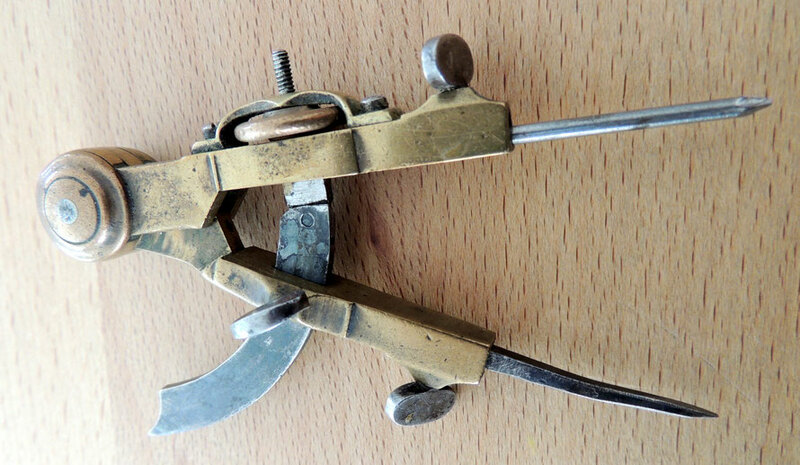 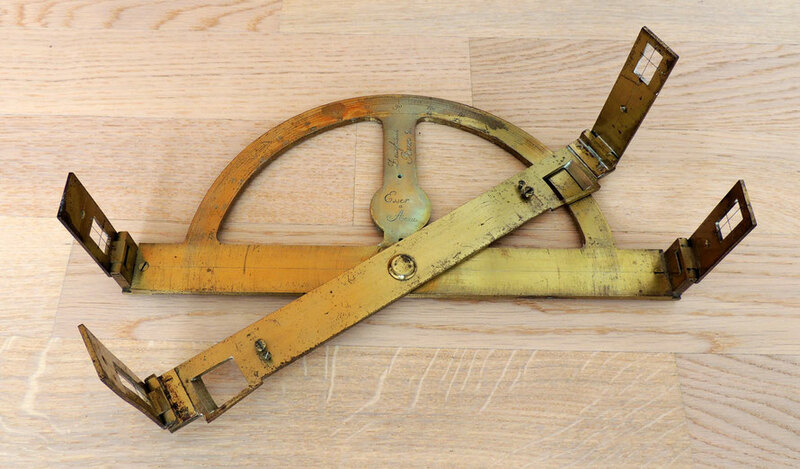 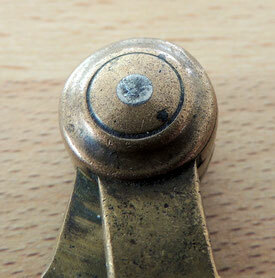 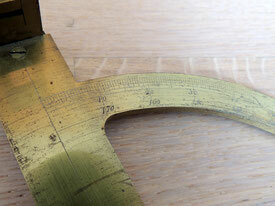 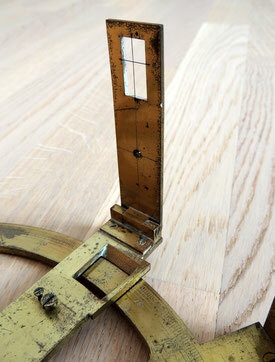 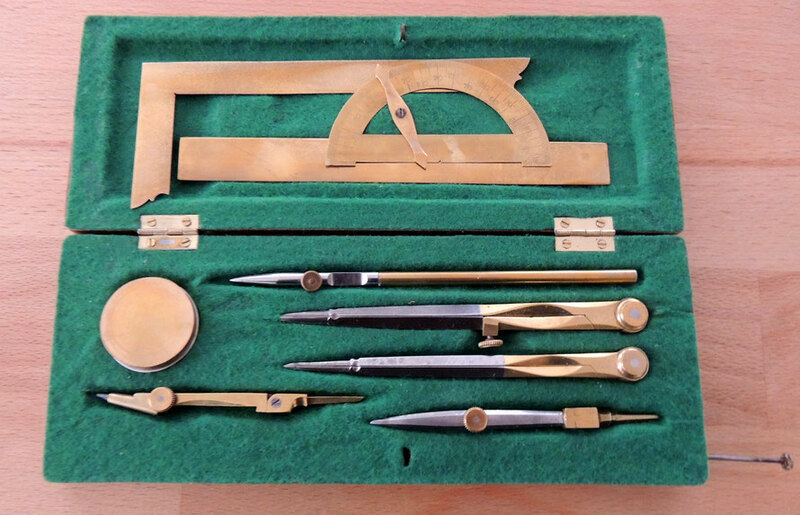 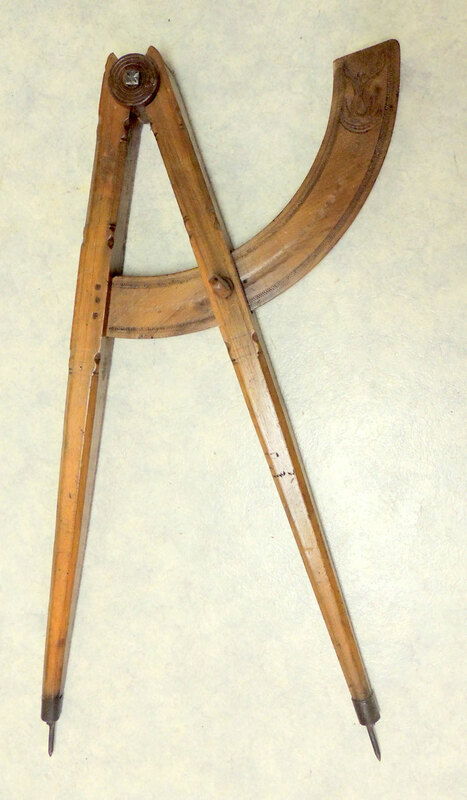 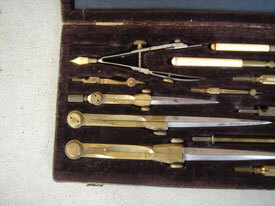 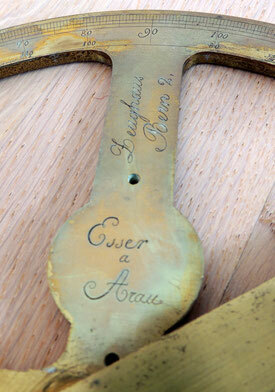 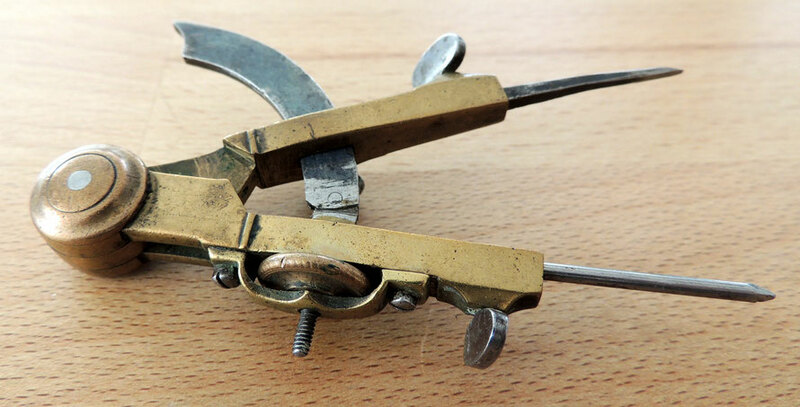 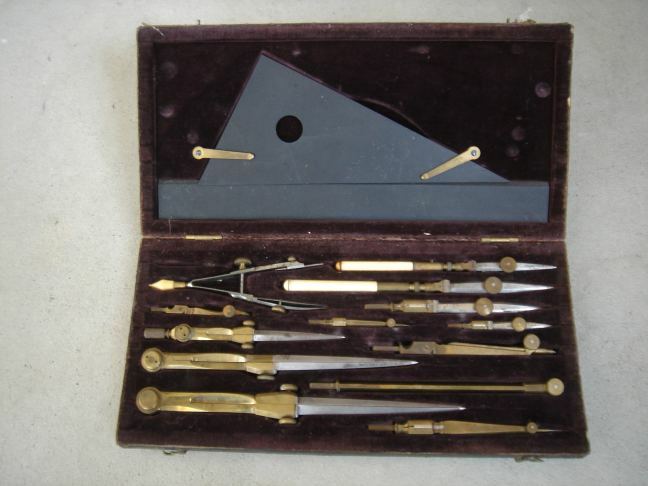 Brass Graphometer by Esser, early 19th Century, 30 x 13.5 cm. 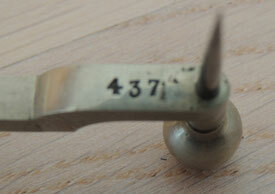 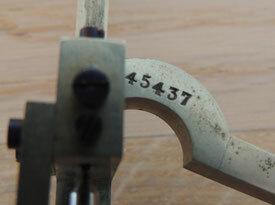 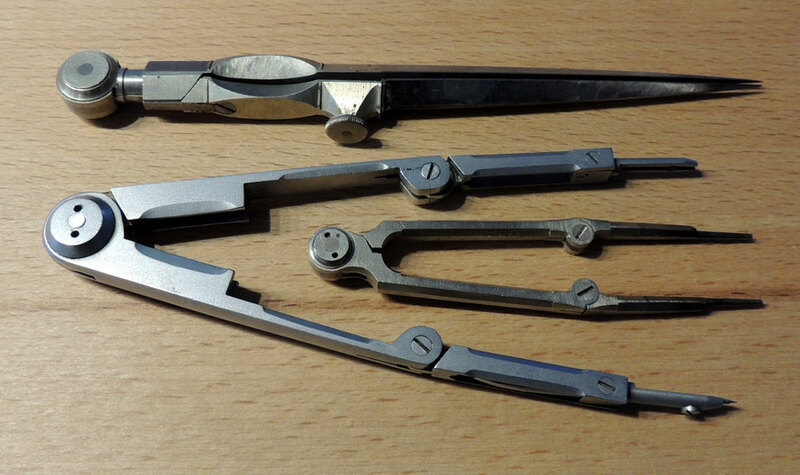 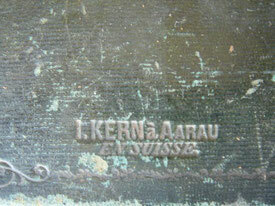 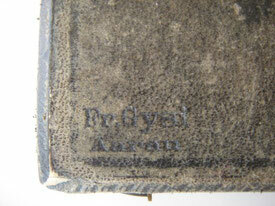 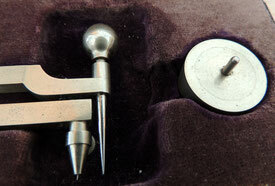 Planimeter by Kern & Cie. Aarau Suisse, German Silver, early 20th Century, Box 31 x 5.6 x 3.6 cm. 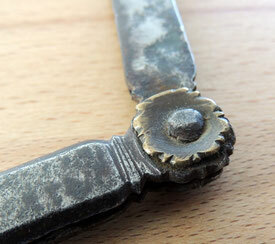 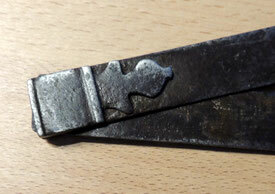 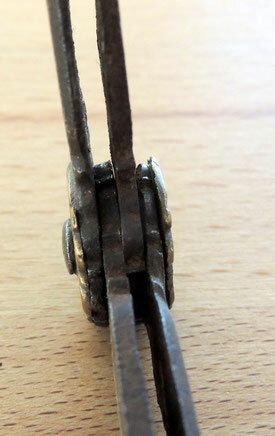 Small Iron Divider, 17th century, 22 cm. 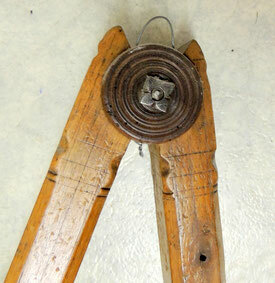 Iron and Brass Divider, 16th century, 18 cm.